Weill Cornell Medical College and drug maker UCB have teamed up to translate innovative Weill Cornell-led research in bone disorders, metabolic disease and genetics into next-generation treatments. The three-year strategic alliance builds a bridge between the medical college's top-flight scientific investigators and their counterparts at UCB, one of the world's leading biopharmaceutical companies. UCB will apply its drug discovery expertise, including antibody generation and medicinal chemistry, to advance three promising Weill Cornell research projects along the drug development pathway. The alliance with UCB embodies Weill Cornell's mission to attract partnerships with industry. The goal of these alliances is to fuel scientific innovation and accelerate the translation of medical breakthroughs into advanced treatments and therapies. 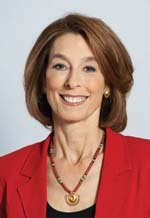 "We are thrilled to enter into this strategic alliance with UCB to drive research discoveries made at the bench into the most advanced treatments for patients in the clinic," said Dr. Laurie H. Glimcher, the Stephen and Suzanne Weiss Dean at Weill Cornell Medical College. "UCB, with its distinguished scientific leader, Dr. Ismail Kola, has an accomplished track record of developing first-rate treatments and therapies. With complementary expertise and a common mission — to help patients, improve health and save lives — our alliance will demonstrate the power of academic-industry collaboration." The Weill Cornell-UCB alliance focuses on three high-impact research projects developed by Weill Cornell principal investigators. One such project, led by Dr. Glimcher, focuses on ways to build bone to treat diseases such as osteoporosis. Another study, led by Professor of Biochemistry Dr. Timothy McGraw, takes an outside-the-box approach to understanding how and why the body becomes insulin resistant. In another study, Dr. Ronald Crystal, chairman of Genetic Medicine, is scouring the DNA of Qatar's native population to identify genetic variations that lead to rheumatoid arthritis, fibrotic diseases that cause excessive scar tissue to form, and other immunological disorders. "A lot of innovative breakthrough research happens in excellent academic medical centers like Weill Cornell," said Dr. Ismail Kola, president of UCB NewMedicines. "These three projects we've partnered with are highly creative research that's way ahead of the field. We have a lot of expertise in making superior medicines, antibodies and understanding how a drug behaves once it's in the body. We are very excited by Weill Cornell's research, and to have partners like Weill Cornell and Dr. Laurie Glimcher is fantastic for us." Research teams at Weill Cornell, which drive excellence in medicine, and UCB — with research and development facilities in Belgium and the UK Belgium — will interact closely and share their findings on a regular basis. Leadership from both institutions will also meet to discuss research findings and progress — an innovative arrangement facilitated by a strategic alliance framework. 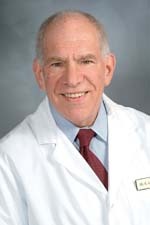 "UCB is the best possible partner for these three projects, which will benefit from our complementary skills," said Larry Schlossman, managing director of BioPharma Alliances and Research Collaborations at Weill Cornell. "By engaging leadership from both institutions, we are not only keeping everyone abreast of research developments — ensuring that our vision stays aligned — but also laying the foundation for future collaborations. Our strategic alliance with UCB is a model of how universities can work with industry to advance the progress of medicine and serve the public interest. As an academic medical center that receives federal funding for our research, we have a fundamental obligation to the public to do everything possible to translate promising discoveries in the lab into new medicines. Our strategic alliance with UCB is the embodiment of that mission." More than 50 million Americans — about one in two women and up to one in four men over the age of 50 — have low bone density or osteoporosis, according to the National Osteoporosis Foundation. While there are drugs on the market that prevent further bone loss, there's been less success in harnessing the body's ability to build bone. But Dr. Glimcher and her lab discovered a protein that can promote the activity of cells responsible for bone growth, known as osteoblasts. The goal of the collaboration with UCB is to discover how this protein works and why inhibiting it results in bone growth. Investigators will also look for creative ways to inhibit this protein and use that information to develop new treatments for osteoporosis. With their complementary expertise, Dr. Glimcher and her counterpart at UCB, Dr. Thomas Crabbe, say they can move the discovery at the bench into innovative treatments for osteoporosis patients. 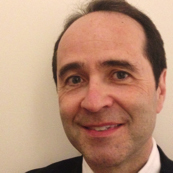 "I'm very excited about this project, which has had considerable success at Weill Cornell," said Dr. Crabbe, director of external discovery solutions at UCB. "We can foresee a future where we can build back bone, and I think in three years' time we will be in a very different place than we are now." Dr. McGraw's research started four years ago as a side project with an unconventional hypothesis: Could renegade hormones in the blood be the culprit for the kind of insulin resistance that sparks type 2 diabetes? "It's like trying to drive with the parking brake on," said Dr. McGraw, also professor of biochemistry in cardiothoracic surgery. "There's nothing wrong with the car; it's just not moving right with the brake on. We think that a factor is acting like a parking brake, and that if you turn it off, the body will naturally reset to its normal physiology." He's narrowed down the list of possible factors responsible for the phenomenon, and his team and UCB will whittle that list down further. If they are successful, UCB will work to develop drugs that target the factor responsible. "More minds are better than one, and the scientists there are great," Dr. McGraw said. "I'm looking forward to taking advantage of their expertise, which complements ours." Dr. Crystal has dedicated his career to searching for genetic mutations that lead to disease. It was about seven years ago, when he was helping to build a research program at Weill Cornell Medical College in Qatar, that he realized that the structure of Qatari society, in which there is a high degree of consanguineous marriage, may provide researchers a prime opportunity to identify genes that cause disease. Since then, Dr. Crystal and his partners in Qatar have identified multiple genetic variants in multiple genes known to play causal roles in diseases including such devastating conditions as cystic fibrosis, sickle cell anemia and muscular dystrophy. Building off that success, Dr. Crystal and UCB will identify and sequence the genomes of additional Qatari families, looking for the genetic variants that cause immunological disorders — providing insight into how we might treat severe diseases of the immune system. "The goal for Weill Cornell and for UCB is the same: We want to do science that helps humanity by treating and protecting against disease," said Dr. Crystal, also the Bruce Webster Professor in Internal Medicine, professor of medicine and professor of genetic medicine. "By partnering, we can use the expertise of the academic community — in this case, my project in terms of identifying genes causative of specific disorders such as bone, inflammation and fibrosis — and UCB's expertise in terms of developing medicines that will hit specific targets." "We're bringing our drug-discovery development expertise to marry up with Dr. Crystal's genetics and biologics expertise," added Dr. Duncan McHale, vice president of global exploratory development for UCB. "Hopefully, together we can find the right mutations, make first-in-class drugs for a particular target, and really make a difference." Work is underway for all three projects. Leaders at both institutions are excited for the next three years, and hope that their work will lead to future collaborations.